Binapex is a new, fast and safe platform where you can trade and keep track of Bitcoin, Ethereum and other cryptocurrencies! When it comes to trading ICO Tokens, Binapex provides fast and safe transactions without delays. Our mission is to provide the best service for our users! Binapex.com is a simple, convenient and secure cryptocurrency, fiat currency and token exchange platform. It takes just a few minutes to top up your balance, make a profitable deal on a regular or margin market, fix your profit and withdraw the earned money. Margin market available for a number of trading pairs allows transactions with a leverage up to x100. Binapex.com grants access to real-time trading data and charts, providing a world-class cryptocurrency exchange service. Binapex.com operates under the official control of Binapex Ltd., which has the appropriate SDL license and is under control of the national financial regulator. Strict adherence to legal regulations and advanced client security are the main priorities of Binapex. 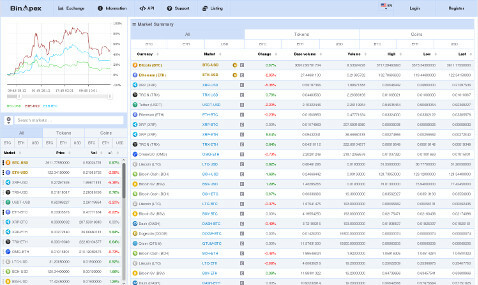 Binapex.com offers the best global platform for transparent cryptocurrency trading. BACIX 100 is a rules-based index designed to objectively measure the overall long-term and short-term dynamics of cryptocurrency market. This is achieved by real-time tracking 100 cryptocurrencies that had the largest market capitalization as of 1 January 2019. BACIX 100 index serves as a tool for passive investors to participate in this asset class, and as an industry benchmark for investment managers. 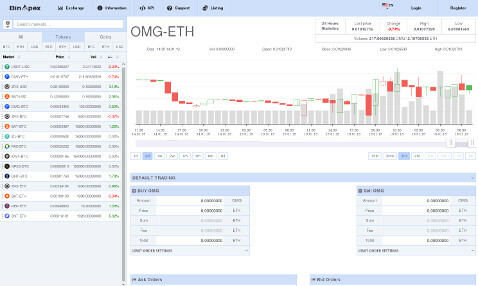 Ethereum (ETH) is now available for margin trading on Binapex exchange! On Binapex, margin trading and regular trading is performed on the same market. Check our Margin Trading section to find out more.